This isn't going to be your usual "How to do this" post, or "favourites" of the most random things I can find in my bedroom post. I wanted to find a way to let you all know what's happening on my blog throughout September and the Autumn months, and blogging is definitely the best way to do this! So this is going to be just a little chit chat, between you and me, where I do all the talking, pretty much. So, as you may be aware, I am currently posting 4-5 times a week and sometimes more, it all depends on what's going on, what brands I'm working with and if I sneak in a cheeky little post at the last minute to fill a gap. After purchasing a diary, I know exactly what is happening on my blog throughout each month and what post is being scheduled where, it's absolutely brilliant! Right now, I currently have 6 empty days out of 30 in September where I am not scheduling a post, which is pretty good going if you ask me. I have decided to create an Autumn Guest Post Series. This may continue on into each season, it also may not. It all depends on how well it does and if people are enjoying the guest posts which will be featured on my blog. If it is a winner, I will 100% be creating another post like this when it comes into Winter, and I will be starting the whole thing all over again. Cool? I think so! 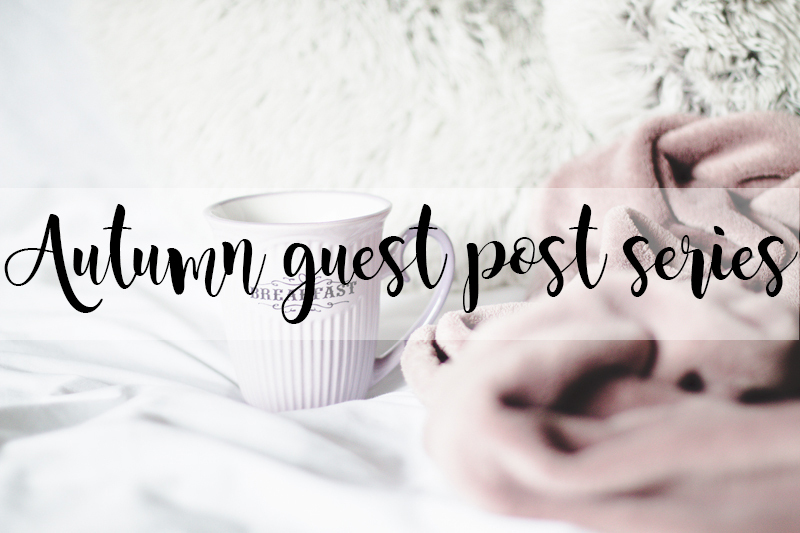 My blog is based around books, lifestyle, thoughts, student, baking, and mental health; So ideally a guest post will be on any of these topics, or anything based on the current season, aka Autumn. I am completely happy for the guest post to be on whatever topic you want it to be on! As long as it's not something completely out of the blue and does not relate to my blog whatsoever, then miss Kimberley Jessica, or as my boyfriend likes to call me "Jimbo" will not be a happy bunny! If you would like to be featured on my blog, by creating a blog post about absolutely anything as long as it fits into the theme of my blog, then be sure to send me a DM over Twitter, or send me an Email. I would love to hear from you! Let me know what your favourite thing is about Autumn by the way! This sounds like such a good idea! I can't wait to see all the future Autumn based guest posts! P.S: My favourite thing about Autumn is most definitely all the cozy jumpers and the cinnamon autumn scented candles!